Homes in the Historic District are quite special. There is also at least one active adult community in the Methuen area (see link at top right). For the Boston area real estate prices are quite reasonable, with the median home value index at $292,500 in early 2016, according to Zillow.com. The cost of living and taxes in Massachusetts are generally high. The Searles Tenney Nevins Historic District is really quite special. These 3 patrons were in a competition of sorts and the result is an architectural legacy that remains today. Gaunt Square is the commercial center of town. Methuen Memorial Music Hall was built especially to house the Great Organ. Winters are chilly and costs are high. There is no train service to Boston. Methuen is northwest of Boston by about 30 miles. It is the northermost MA town on I 93. The average July high temperature is 83 and the average January high is 34 (the average low is 14). The wettest month is November (4"). Methuen has an above average cultural environment for a town of its size. 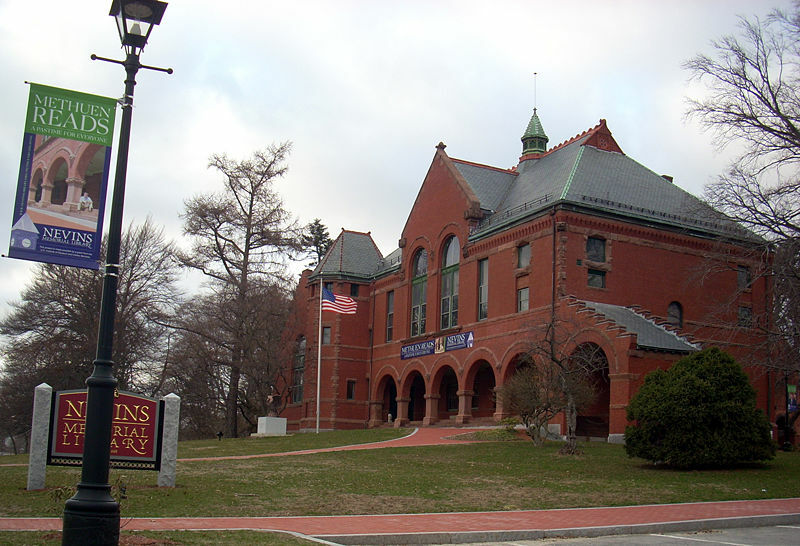 The Nevins Memorial Library is impressive, as is the Methuen Memorial Music Hall was built specifically to house the Great Organ. The organ and its related equipment is said to be as large as a house. The Holy Family Hospital and Medical Center serves Methuen. There is bus service but no train service to Boston (the nearest station is in Lawrence). Methuen is on I 93. Methuen is below average in walkability when compared to other communities.